The rocks between Mandrakia and Sarakiniko are composed of layers of volcanic ash. These soft white rocks are easily eroded by wave action to form sea caves. 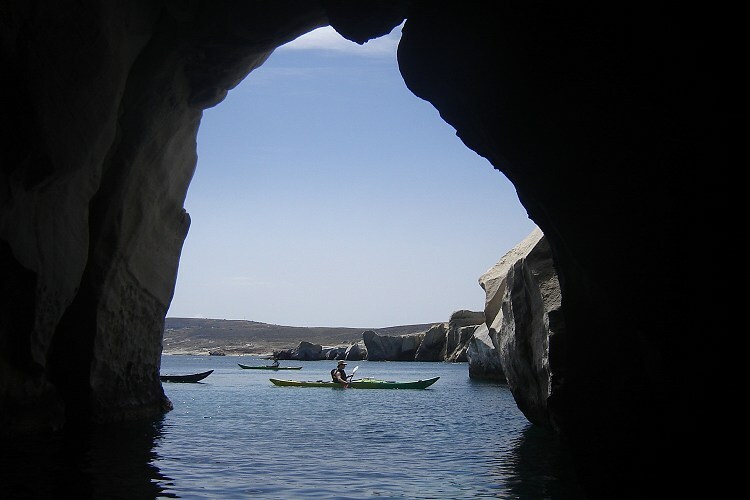 There are about 20 caves and arches along this stretch of coast, making it the the second biggest concentration of sea caves after Kleftico.